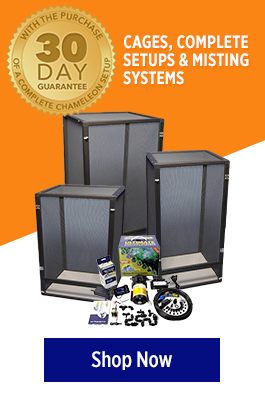 Our 24″ x 24″ x 48″ large chameleon kit will take you to the next level with your chameleons. This large environment is perfect to help your chameleons thrive. We’ve loaded this kit with everything you’ll need to be a chameleon pro. See details below. 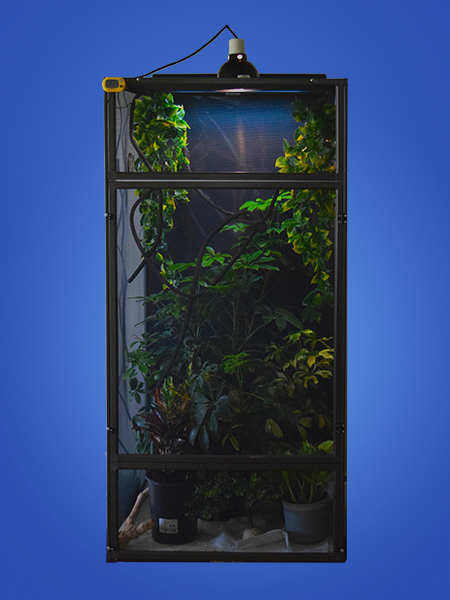 Our 16″ x 16″ x 30″ small chameleon kit has everything you need to get started in the hobby and help your chameleon thrive in his new home. 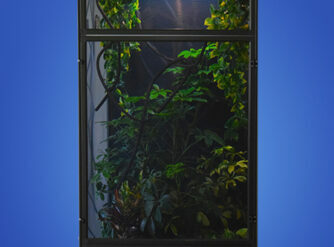 We include the proper lighting, environment, supplements, and more for your new chameleon. See details below.